Dr. Wisner is internationally recognized as an expert in the treatment of mood disorders in women, with particular expertise in pregnancy and the postpartum period. 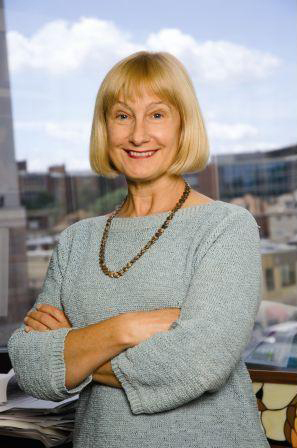 She has been the principal investigator on multiple National Institute of Mental Health- and foundation-funded research projects including the impact of medication use during pregnancy for Unipolar and Bipolar Disorders, a Randomized Controlled Trial of Estradiol for Postpartum Depression, Screening for Postpartum Disorders, and the efficacy of bright light treatment for patients with bipolar disorder. Dr. Wisner is board-certified in general and child and adolescent psychiatry. Her memberships in scientific societies include the Organization of Teratology Information Specialists, the Teratology Society, and the North American Society for Psychosocial Obstetrics and Gynecology. Learn more. Chandra Ghosh Ippen is the Associate Director of the Child Trauma Research Program at the University of California, San Francisco and the Director of Dissemination and Implementation for Child-Parent Psychotherapy (CPP). She specializes in working with young children and families who have experienced trauma and has co-authored over 20 publications on trauma and diversity-informed practice, including the manual for CPP, a randomized trial documenting the efficacy of CPP, the children’s story “Once I Was Very Very Scared,” and the Trinka and Sam story series. She is also co-author of the Mothers and Babies Program, a bilingual Spanish/English prevention program developed to prevent depression in pregnant women. She has over 14 years of experience conducting trainings nationally and internationally in diversity-informed practice and Child-Parent Psychotherapy. She also has a lifetime mission to bake 1000 pies and a pie in all 50 states. Dyane holds a B.A. in English and American Literature from the University of California at Santa Cruz. She is the author of "Birth of a New Brain—Healing from Postpartum Bipolar Disorder" with a foreword by perinatal psychiatris Dr. Carol Henshaw. Dyane has written about postpartum bipolar disorder for SELF Magazine, BP/Bipolar Magazine, The Huffington Post, and Postpartum Support International. Dyane founded the Depression and Bipolar Support Alliance (DBSA), Santa Cruz County, CA Chapter and facilitated support groups for moms with mood disorders during the past nine years.